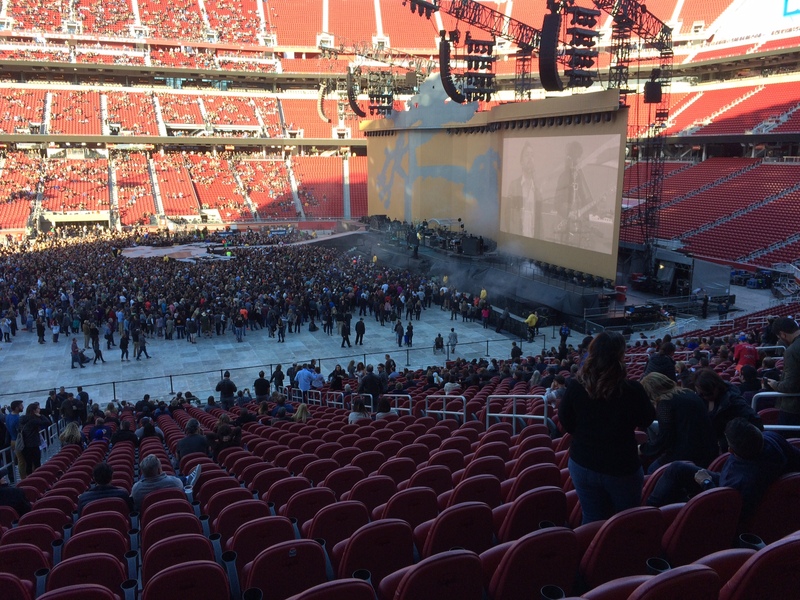 If the laws of the universe is return everything back to balance, then the magnificence of U2 show must balanced by the suckitude of Levi’s Stadium. First, the cost for parking was $50.00. In my opinion, that’s a little steep. I knew that is wasn’t going to be cheap, but wow. I also realize that this may be the going rate for parking and I just need to be good with it. In addition, the parking attendants and security personnel seemed quite disorganized. 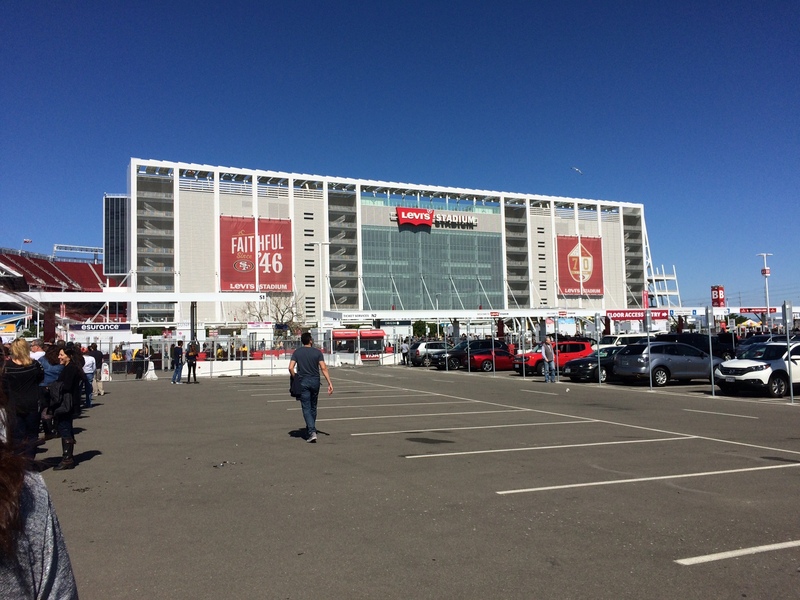 The traffic flowing into the lot was quite slow even though we arrived several hours before the show. After we parked, we immediately got into line, which was about 50 people. The security folks told everyone in line that they would start letting people in at 5:00 pm. Turned out to be 5:40 pm. I will say that the ticketless/credit card entry method is not for me. I realized that I would not have a real ticket and this would be my first show where I did not have a cool keepsake of the show. Second, it takes several seconds to print up this little receipt that functions as your ticket. This is where the bottleneck occurred. By this time there were several hundred people behind us in our line alone. Thanks goodness we got there early, because it got exponentially worse as time wore on. 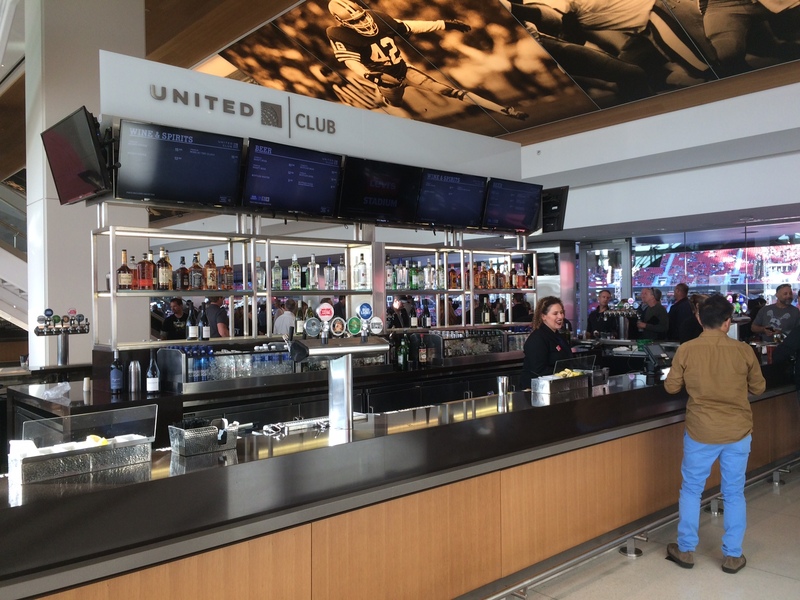 My party had club level seats—although we didn’t know it at the time—and we all stood in line for food & beer at the regular level. This is where Levi’s fails. The staff working the counters were at best, below average and at worst lame. It took about 20 minutes to get to the front of the line. The guy who to took my money for a $12.00 hot dog (yeah, that’s right) had difficulty of knowing where to put the $20 bill I handed to him. There was a sense that many of them were brand new. There was this woman supervisor who was walking behind cashiers and kept scolding everyone, but beyond that did little to help. One cashier processed a customer’s order only to learn that they were out of the item. The supervisor told the cashier, “Remember what I said about not taking the money unless you are sure you have the food,” right in front of the customer and then walked away. No apology to the customer or how they would fix the problem. Wow. After getting our food and eating quickly, we proceeded to find our seats. It was then that we realized we were at the club level. I have never stayed at the club level and what little I know is that it is supposed to offer the guests a luxurious experience. If that is the case, then Levi’s left me a little unsatisfied. The club level did have its own entrance with staff members checking tickets to make sure all guests were approved. But there were pros and cons. There was a bar and it only had two bartenders serving drinks. The lines were at least 25 people deep and given that the bar was quite large, there should have been a minimum of four, if not six bartenders (three for each side). It was obvious that the bartenders were new because they were using measuring cups to to mix the drinks. I assumed they were contracted by Levi’s, but holy hell, they couldn’t find people who had served drinks before? When the bartender has to measure out the alcohol for each and every drink, it takes more time. Multiply that by hundreds of thirsty but patient guests and the wait was about a half-hour. To their credit, the drinks did have the proper amount of alcohol. I’ve been to venues where the bartenders were stingy with the spirits and it was disappointing. There were better food concessions, but again, the people preparing the food looked like they were new. At the burger concession, there was one guy working the grill and two others standing around him, but not really doing anything. There was another person working the cash register; so I still don’t know what those two people were doing. I didn’t see them serving the food. Yet as less-than-great that that was, it was far better than the concessions at the regular level, where one guest told me he waited an hour in the hot dog line. On the pro side, the club level is the best level to enjoy a U2 show (besides the GA floor in front of the stage). It offered an elevated view but not so high that you couldn’t see the band. Inside, the were far less people and plenty of seating. One nice perk was there were several outlets so all guests to charge their phones. In this age of living life online, being able to charge your phone at the venue is a benefit. The men’s room was far superior at the club level. Having used both, the club was less crowded, bigger and better maintained. This is a definite plus. My opinion—as well as many other guests—is that Levi’s need to do much better. If they want to heal itself of its black eye, it needs to hire better staff. I realize that cost is a factor that weighs heavily when making that decision and I would respond with, you get what you pay for. My guess is that it might not be enough motivation to make these important changes.